A lot of people say that an AR-15 is not a good home defense weapon. They are wrong. One of the reasons the AR-15 is the most popular sporting rifle in America is it’s adaptability. 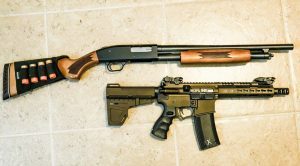 So sure, an AR-15 chambered in .223 with a 20-inch barrel is not the best home defense weapon, but there are other ways you can build an AR-15 that will make it a great home defense weapon, like an AR-15 pistol chambered in 300 Blackout. 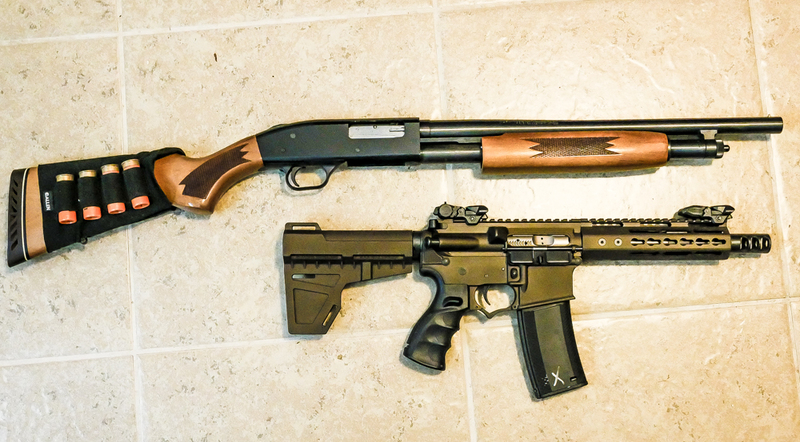 For most people, the recoil on a 12 gauge shotgun can be oppressive. Too much recoil can make it hard to line up a follow-up shot, and in some cases may make someone hesitant to take the first shot. You hear it all the time “with a shotgun, you point in the general direction and fire, the spread will make sure you hit them.”. This is simply not true. In a standard living room, your target will only be about 7 yards away from you at max. Even with birdshot, you will only get a six-inch spread at 7 yards. With buckshot, that can go down to a two-inch spread. Most shotguns do not hold a lot of rounds. In a standard pump shotgun, you will have 6 or 8 rounds. According to police statistics, the average accuracy rate under the stress of a gun fight is under 20%. With 6 rounds, you will be lucky to land one of them. 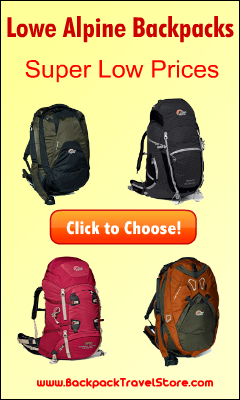 If you have multiple assailants, this will not do. I recently built an AR-15 chambered in 300 Blackout with a 7.5” barrel. I built this AR-15 specifically for home defense, and it probably isn’t that great for anything else. 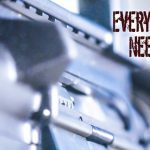 So what makes the AR-15 pistol in 300 Blackout my choice for home defense? Before the introduction of 300 Blackout, military and law enforcement would usually engage in close quarters combat (CQB) with either short barreled AR-15’s in .223/5.56 or submachine gun like the UZI or MP-5 that use pistol ammunition. Many people felt that neither the long gun ammunition or the pistol ammunition was well suited for close quarters combat. 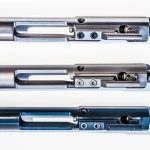 The 300 Blackout was designed to fit between those choices and be the best of both worlds specifically for use inside a building. 300 Blackout (or 300 aac) uses a standard .223 cartridge that has been trimmed and had a 30 caliber projectile shoved in it. I could go into all sorts of ballistics here, but let’s make this simple and say that the 300 blackout round is not as fast as .223/5.56, which gives it less penetration (although still plenty of penetration to go through a bad guy, it just won’t go through a bad guy with a car in front of him like a .223/5.56 will.) 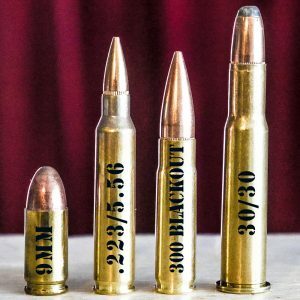 A 300 Blackout is a 30 caliber projectile which is larger then .223/5.56 and more like the size of the projectile fired from the 30-06, 30/30, or .308 (in fact, the projectile for a .308 and 300 blackout is the same). As I said, you already know how to use an AR-15. You have that muscle memory built up. I built my 300 Blackout with a 7.5-inch barrel to give me ease of movement inside my home (it is for home defense…). Now, I have already had the argument with one of the other writers here who says that 300 Blackout loses accuracy on anything shorter than a 10-inch barrel. He could be right, but I built this weapon for home defense. I will likely be within 7 yards of my target if I ever have to use it, and it is plenty accurate for that. (edit) I finally got down to the range to test fire my 300 blackout pistol build and I can say that I was getting really tight groups at 15 yards with nothing but a cheek weld. I didn’t test any further because I was in a rush and because there is no place inside my house that is a longer distance than 15 yards of unobstructed view. What this tells me is that the person who told me that 300 blackout has no accuracy coming out of a barrel shorter than 10 inches was wrong. This 7.5 inch barrel is plenty acurate for a home defense weapon. .223/5.56 is not a viable round at subsonic speeds. The projectile is the same size as a 22 long rifle bullet. What makes .223/5.56 such a viable round is its speed and the kinetic energy that goes along with that speed. Therefore, there is no good reason to use a subsonic .223/5.56 round. 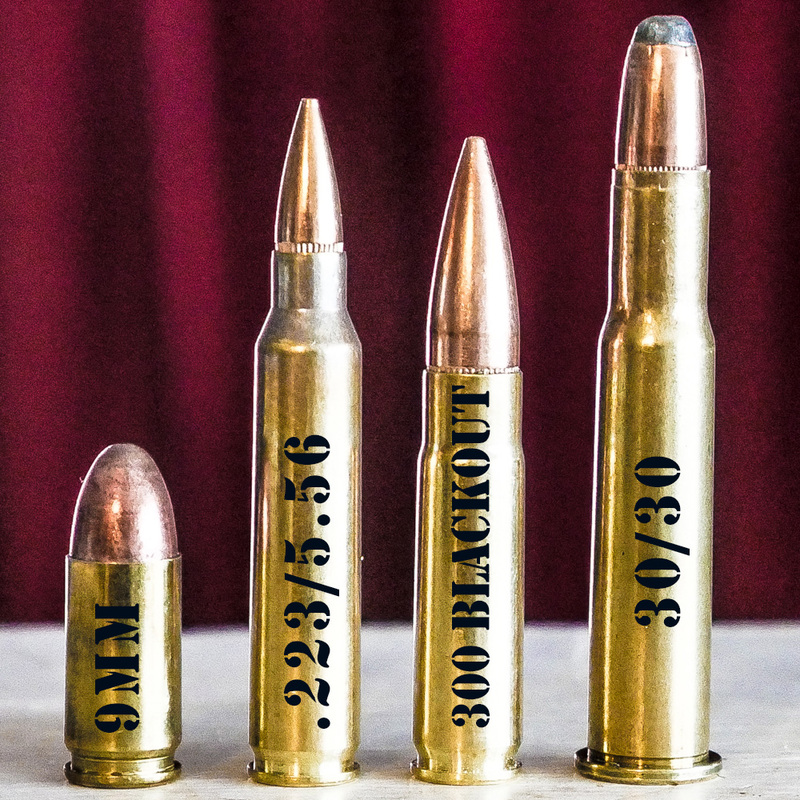 However, 300 Blackout is a larger diameter round, and is still viable at lower speeds. If you add a sound suppressor to an AR-15 and use subsonic rounds, you can safely fire it inside a building without damaging your ears. 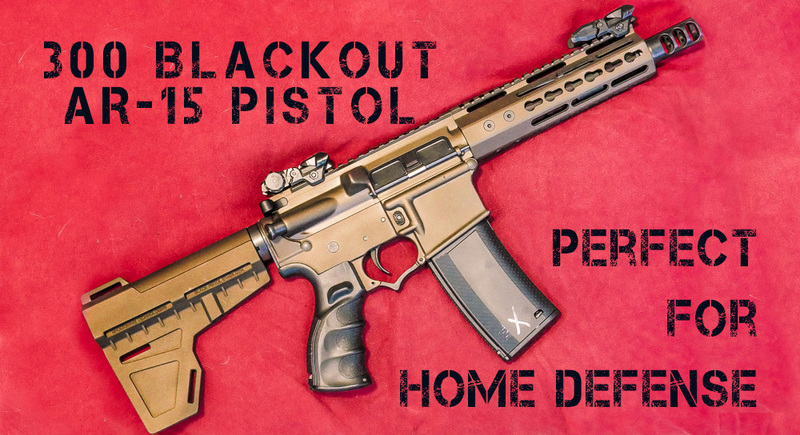 Overall, having a weapon platform that I am already familiar and comfortable with, in a size that is perfect for maneuverability inside my home, and is loaded with high capacity magazines of an effective ammunition, makes the AR-15 pistol in 300 Blackout my perfect choice for home defense.